Stone of Tears is the second volume in the epic Sword of Truth series by Terry Goodkind. Darken Rahl has finally been defeated and Richard and Kahlan race off back to the mud people to marry. Nothing goes to plan however and as they are waiting for the wedding preparations to be completed three Sisters of light turn up to take Richard and train him as a wizard. Richard has already begun to become afflicted by crippling headaches and the sisters warn that unless he goes with them to learn control of his magical powers, the headaches will kill him before too long. Worse yet, the veil has been torn by the death of Darken Rahl, and the Stone of Tears has entered the world. According to prophecy, the only person who has a chance at closing the veil is the one bonded to the blade, the one born true. Richard refuses to accept his gift of magic and will not join the sisters, in denying his heritage, Richard Cypher, grandson of the last true Wizard, ignores the Wizard's Second Rule.It may be his undoing and the Lands. One person holds the power to make Richard accept what he hates-Kahlan Amnell,Mother Confessor.To save her people,her world,and Richard,from the Keeper of the Underworld she must sacrifice everything she holds dear and begin a war she knows can only end in death. This is a world where the creatures of nightmare will find you by the movement of a shallow breath and waking dreams will decide your soul's fate...Where magic is both a boon and a bane to those who use it and those who merely feel its touch. 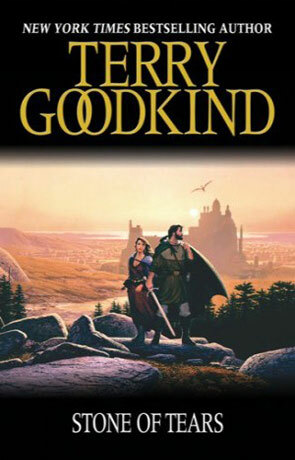 It is quite clear after the first novel (a href="wizards-first-rule.htm">Wizards First Rule) that Terry Goodkind has aimed these novels at the adult market. There is a clear adult theme and descriptive adult elements throughout. By no means a dissadvantage, this clear line gives the novels a lot of freedom of expression and enhances the story. While this novel reads at a slower pace then the first volume, it does develop into a very good, enjoyable read, and by the end you are left with the feeling you want to start reading the next in the series straight away. Written on 21st September 2008 by Ant.